I have a love for Indian food, and good Indian food can be hard to find. Luckily, there is an amazing Indian restaurant right off campus that I frequent more than I should. It’s called Nawab and I have yet to find an Indian restaurant back home that’s as good. When I go there, I tend to stick to my usual order most of the time. It’s always so great, I don’t see a need to change it. I like to begin with a mango lassi. Lassis are a blend of yogurt, milk or water, spices, and in this case, mango. It’s perfectly sweet and fruity, and I always have to remind myself to drink it slowly unless I’ll slurp it down in a matter of minutes. Instead of bringing out bread and butter, they bring out papadum and sauces. 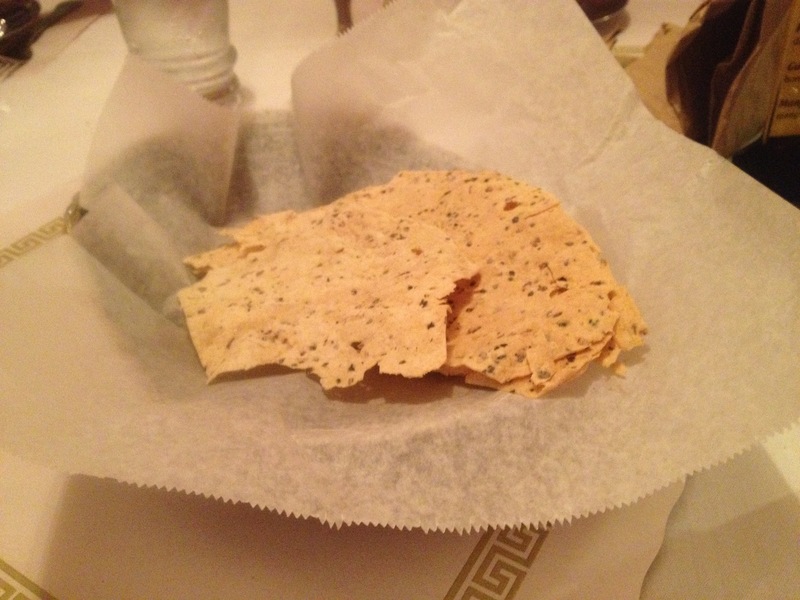 Papadum is a thin and crispy bread that doesn’t have much flavor until you add the sauces. 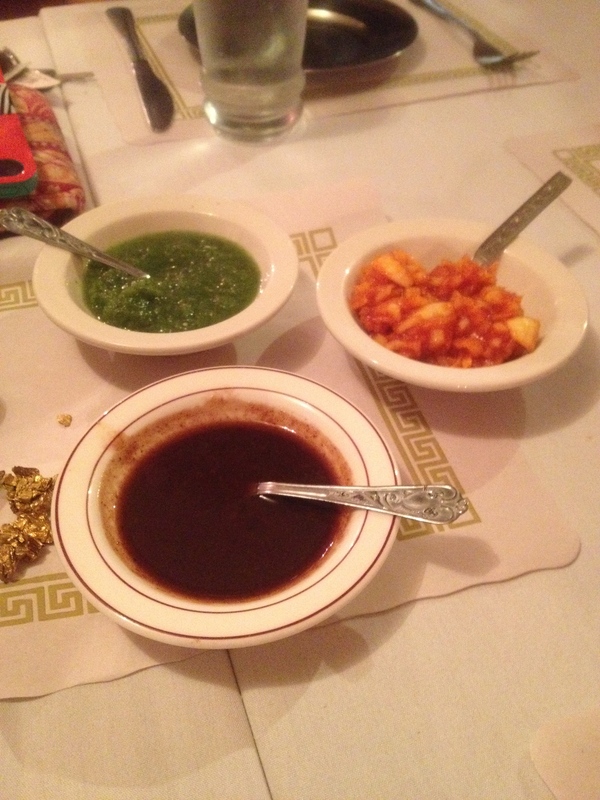 At Nawab, they bring you sweet and spicy mango chutney, mint chutney, and sweet tamarind sauce. The sweet and spicy mango chutney is definitely the most spicy, followed by the herby-tasting mint chutney, and the sweet tamarind sauce is more sweet than spicy. They’re all good on their own, but I do enjoy mixing the different sauces together. I then almost always order my favorite dish there: the chicken chili. It is boneless pieces of chicken broiled in the Tandoor and cooked with onions, bell peppers, and tomatoes. When I had it for the first time, the flavors had an ever-so-slight Mexican flavor to them, but you can definitely still taste the Indian influence. I order it spicy because if you haven’t noticed yet, I love spicy dishes. When your meal comes out, they bring a big plate of basmati rice to be served family style, and they will refill the plate free-of-charge when you run out. The chicken chili isn’t as sauce-based as many of the other dishes, so you don’t have to mix it with that much rice. To go with my dish, I will typically split an order of garlic naan with a friend. Naan is an oven baked flat bread, that comes in many flavors. 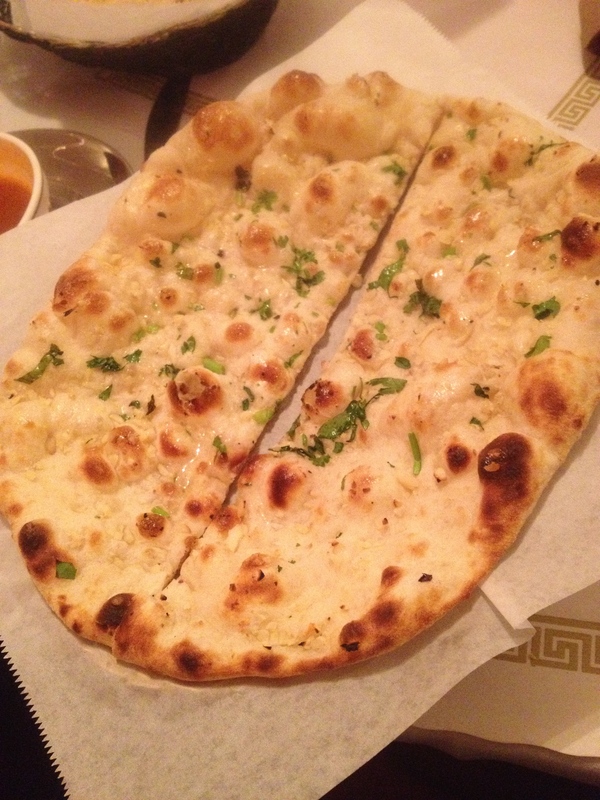 At Nawab, you can order plain, butter, garlic, onion, olive, mushroom, ginger, or pishwari naan. Pishwari is naan that is baked with raisins and various nuts, and it has a sweeter flavor to it. Naan tastes great just dunked in sauce, but I prefer to scoop my food on top of it and enjoy it that way. The restaurant sports a lot of pink between the walls and the accents, and it is adorned in beautiful Indian art. At first, the color may seem overwhelming, but pink is my favorite color so I love it. The setting is pretty quiet and intimate, and I find it a great place to go with friends and family. The wait staff is always good because they move quickly and efficiently. The food is reasonable – not dirt cheap, not expensive – so it’s perfect for college students. All of my friends whom I’ve taken there for their first time having Indian food were timid, but all came out loving it. If you’re new to Indian food, I would recommend the chicken tikka masala – it’s the go-to for first-time Indian food. Try it and you’ll see for yourself just how great it is.